Before the June primary, someone told me that he habitually printed out a copy of my endorsements and took it to the poll with him. With that kind of endorsement, I can't help but try to help some people untangle the nastyness that is the California ballot. Please note that I gloss over some of the reasons I decided to vote for some of the people - it is hard to encapsulate enough in a post this length. Maybe next time I'll make it book-length. With that in mind, here is how I'm voting in the November election. For those of you unfamiliar with the California ballot, it's a monstrosity that takes ages to unravel. This is mostly because we have to vote on many things that should be the prerogative of the legislature. My anti-proposition rant is better saved for another day, though. In either case, I get asked frequently how I'm going to vote. Since it takes so long to discuss it (and the person who really needs to know is in Malawi), I thought I would put it in writing. Governor: Jerry Brown. Whitman has basically already lost, so there isn't much point in my wasting a great deal of electronic ink on this. Having said that, I will say that Whitman's stands on the issues are rather weak. Most of her job stimulus ideas involve cutting taxes. She doesn't back AB32 or gay marriage. Her big solution to legislative gridlock (a HUGE problem here) is to have legislators start work earlier in the year. On a personal level, it also annoys me when people think they can spend a personal fortune to buy high political office. Brief mention of the housekeeper thing: I think it is ridiculous that this has become an issue. Lieutenant Governor: Gavin Newsom. I've never liked Abel Maldonado. This is not necessarily his fault; as a Republican moderate, he has necessarily been at the center of a lot of the nasty budget deals that have hobbled effective governance in this state (see Prop 25). Having said that, this is a post with few responsibilities, so it's really mostly about the rhetoric. I like Newsom's rhetoric better, especially on the environment and gay rights. Senator: Barbara Boxer. I agree with Boxer on many of the issues. I will admit that she isn't the most effective senator in Congress. The committee on the Environment has done absolutely zip under her leadership (John Kerry has been taking the lead on climate change legislation), and she doesn't have much notable legislation to her name. However, Carly Fiorina's biggest claim to fame is being the CEO who halved HP's value, turning it from one of the more innovative companies in the world into a manufacturer of cheap PCs and inkjet cartridges. I'd rather vote for a nondescript Senator than an atrocious CEO. Attorney General: Kamala Harris. Both AG candidates are quite well qualified this time around; they're both very effective district attorneys. As a result, I feel reasonably comfortable voting based on the fact that I'm one of those damn liberals who thinks that the death penalty and three strikes laws are stupid, and so is Harris. That doesn't mean that she won't enforce the laws, of course. Also, the opponent wants to join the pending class actions suit against the health care act that GOP state attorneys general are forming. I'm in favor of the health care act, and think this mooted lawsuit is a bad idea. U.S. Representative: Anna Eshoo. She's going to win in a landslide, so this is hardly worth discussing. Secretary of State: Debra Bowen. She's doing a good job. She's been pushing better standards for fair elections. She's made sure the voting machines are tamper proof, and improved voter registration methods. The Republican has no political experience; he didn't even vote until 2009. Treasurer: Bill Lockyer. He's done a good job investing California dollars, and gotten a good return. He's very honest - he says that neither gubernatorial candidate's budget plans make sense (which seems to be true, AFAICT). The Republican is one of those legislators who votes against every budget; I would argue that this means she doesn't understand how much damage that does (see discussion of Prop 25 below). Controller: John Chiang. He's another person who has done a good job. He managed to keep the state afloat in tough times, carefully rationing money in the face of political pressure to spend more quickly. This has kept California's bond ratings from self-destructing. Insurance Commissioner: Dave Jones. This is based solely (edit: largely. I shouldn't have said solely) on Mike Villines's (his opponent) opposition to health care reform. That's important to me, and therefore a large enough issue to decide this race. Note that many people claim that Villines takes contributions from the insurance companies. He has not done so in this race, although he did when he was a legislator, and has transferred some of the money he raised to run for office then to his current race. State Superintendent of Public Instruction: Larry Aceves. The Democrat, Tom Torlakson, is a legislator (and former teacher). Aceves (an independent who changed his registration from Democrat to run in this race) is a former principal and school superintendent. Torlakson's funding comes from the teacher's unions, and he is a lot less willing to discuss reforms that might fall on their bad side (such as limiting teacher tenure, or, heaven forfend, firing bad teachers). The plus side of Torlakson is that he might be better at negotiating the legislature to improve school funding. Hmph. I'm usually better about voting less of a strict party line. Mountain View Council Members: The incumbents (Siegel, Bryant and Abe-Koga). The challengers are highly unimpressive. There are two libertarians (don't get me started) and Aaron Jabbari, who left the debate early because it was his 21st birthday and he wanted to get drunk. State Assembly: Paul Fong will win in a landslide. Yawn. Proposition 19: Legalizing marijuana. I've thought about it carefully, and I'm going to abstain (pun intended). I believe strongly in legalizing marijuana. It's harmless and ubiquitous, so having it be illegal just means that you send people to jail needlessly. However, this proposition suffers from the usual problem that propositions have: it is poorly thought out, impossible to edit, and can't be revised without going back to the voters. SFGate has a decent article on the problems. I do care about the fact that Mexico is self-destructing over this issue, but almost none of California's marijuana comes from Mexico, and it won't really be legal, anyway, because it will still be illegal at the Federal level. Come back in 2012 with a better-written proposition. Or - crazy thought - go through the legislature, who can edit and revise if they make mistakes! The commission isn't accountable to anyone. The commission is 1/3rd Republican, 1/3rd Democrat, and 1/3rd independent. This is not representative of California's population. We're way more than 1/3rd Democratic. We're way less than 1/3rd independent. Also, what about Libertarians and Greens? I haven't though this through completely, but more competitive seats means more expensive campaigns, which means more money. In the wake of the recent Supreme Court decision that opens up the floodgates for corporate spending, I'm worried about increasing the amount of money needed to get a congressional seat. Proposition 21: This adds $18 to the vehicle licensing fee; the money goes to the state parks. I'm probably going to vote for this, on balance. The good: More money for state parks. The bad: It may make the legislature give the state parks less money. What happens when inflation devalues that $18? Also, it means more money that comes into the state government that is set aside for a particular purpose, and untouchable by the legislature. Why do we elect legislators, anyway, if not to make this kind of decision? I'm basically willing to ignore these issues because this is a new revenue stream, rather than an existing one. Proposition 22: Prevents the state from borrowing local money that is supposed to be used for transportation or development. I'm going to vote against this. It's another way of binding the hands of our legislature, which already only has control over a tiny amount of the money coming in. In this case, much of the money that is being borrowed is being used to pay for education. I think the legislature should be able to decide how to reallocate funds (see the previous proposition). If you don't like the decisions they make, then vote them out. Proposition 23: Suspends the recent climate change legislation (AB32) until employment is lower than 5.5% for a year. This has only happened four times since 1960, and the unemployment rate is currently above 12%, so it is likely that the suspension would be semi-permanent. I'm voting against it. AB32 is one of the most forward looking pieces of legislation in the country. Its repeal is being pushed by large oil and gas companies. Prop 23 is opposed by legislators on both sides of the aisle. Proposition 24: Repeal of tax breaks for large businesses. Right now, taxes for businesses are determined by both sales and payroll. The tax break allows businesses to base their taxes solely on sales. The idea is that if you aren't taxed on your payroll, then you are likely to move more jobs in state (most other states don't tax on payroll). The down side is that the state loses $1.3 billion in tax revenue at a time when there isn't very much money to go around. Again, I'm opposed to second-guessing our legislature - if you don't like the way they voted, vote in legislators who will work to overturn the existing law. This was one of these highly questionable deals that Republicans demanded so that we could pass a budget, but that doesn't actually counter what I just said about second-guessing the legislature. I'm voting against it. Proposition 25: Lowers the threshold for passage of a state budget from two-thirds to a simple majority of legislators. I'm voting yes. The budget process is a mess. A tiny minority hold up the budget process and extract ridiculous concessions. In the mean time, the state runs out of cash, and we have to start issuing IOUs and putting our employees on furlough. It costs hundreds of millions in interest payments yearly, and makes investors lose confidence in the state. It's time to end this mess. Proposition 26: Requires a two-thirds vote to increase state and local fees. I'm voting no. The evil twin of Prop 25. One of the reasons it is so difficult to pass a budget is because it requires a two-thirds vote to increase taxes. This means that taxes never get increased in this state - only decreased. This has hamstrung our government; they can't decrease one tax and raise another, for example. This would apply that rule to non-tax revenue, like vehicle licensing fees. I'm voting against gridlock, thanks. Proposition 27: Eliminate the redistricting committee. I'm going to vote yes. This is the same committee I mentioned in discussing Proposition 20. Santa Clara Measure A: A parcel tax to support preventive health care for children. I'm going to go with my gut and vote yes on this. Sorry, home owners! Santa Clara Measure B: Add $10 to vehicle registration to improve local roads. Yep. Santa Clara Measure C: Term limits for members of the Water Board. I'm voting no. I'm not a big fan of term limits. If you think your representative is doing a good job, why shouldn't you be able to vote for him or her? Experience is a good thing, not a bad thing. Santa Clara Measure E: A parcel tax for Foothill-De Anza community colleges. I was going to vote yes, and then I saw this article on sfgate.com. Now, I'm not sure. Why are they paying a maintenance worker $93K a year? How does a photography teacher earn $208K? I'm sure these guys are great at their jobs, and it is certainly expensive to live around here, but WTF? Santa Clara Measure T: Mountain View raises money with a tax on land lines. No one has a land line anymore, so they are putting up a ballot measure that will allow them to put a tax on cell phones and VoIP, as well. The city attorney's analysis states clearly that this does NOT affect other Internet use (although my friend Merry claimed it did, which mystifies me). I'm voting yes. I've watched this show my entire life, and all of you have, too. I can't believe I've never noticed all of the glaring plot irregularities! ... from Neil Gaiman, a short story for the holidays. You know, it is a good thing that the House doesn't require a 3/5ths majority. Controversial legislation that has a 3/5ths majority in the House would be just as twisty and turny as the Senate's. If both chambers requires a 3/5ths majority, there would be no way that Congress would ever be able to reconcile a House version and a Senate version. Of course, with the way things are now, the Senate version basically has to win in order for the system to work. That seems terribly unfair to the House. There has to be a better way. I would say the Senate should get rid of the need for a 3/5ths majority vote to end debate, but I don't actually believe that, because it is a reasonably valuable way to protect minority rights (as I argued 5 years ago when they were considering getting rid of it WRT judicial appointments). The only way I can imagine to make it harder to stop passage of bills but also retain minority rights would be to force them to filibuster the bill the old fashioned way, by giving long speeches. I think the Republicans would love this, though. They would have started talking in January and they wouldn't have stopped yet. [S]enators said the tentative agreement would sideline but not kill the “public option” championed by President Obama and liberal Democrats in Congress. Under the agreement, people ages 55 to 64 could “buy in” to Medicare. And a federal agency, the Office of Personnel Management, would negotiate with insurance companies to offer national health benefit plans, similar to those offered to federal employees, including members of Congress. If these private plans did not meet certain goals for making affordable coverage available to all Americans, Senate Democratic aides said, then the government itself would offer a new insurance plan, somewhat like the “public option” in the bill Mr. Reid unveiled three weeks ago. My guiding principle is, and always has been, that consumers do better when there is choice and competition. That's how the market works. Unfortunately, in 34 states, 75 percent of the insurance market is controlled by five or fewer companies. In Alabama, almost 90 percent is controlled by just one company. And without competition, the price of insurance goes up and quality goes down. And it makes it easier for insurance companies to treat their customers badly — by cherry-picking the healthiest individuals and trying to drop the sickest, by overcharging small businesses who have no leverage, and by jacking up rates. Now, it's worth noting that a strong majority of Americans still favor a public insurance option of the sort I've proposed tonight. But its impact shouldn't be exaggerated -- by the left or the right or the media. It is only one part of my plan. But I will not back down on the basic principle that if Americans can't find affordable coverage, we will provide you with a choice. I'm just putting this out there because the progressives are all going to start talking about how Obama doesn't deliver. Meanwhile, as far as I can tell, he is hewing as closely to his promises as just about any President we've ever had. Frankly, the public option isn't that big a deal — what's important in this bill is that 30-40 million more people are going to be covered, and that insurance companies will end the (out-and-out evil) practices of denying people coverage based on pre-existing conditions and of imposing lifetime limits on the amount of compensation you can get (which means that cancer patients aren't going to get cut off after their treatment has cost, say, a million dollars). In Barrett's e-mail, which was posted on a Boston television station's Web site, he declared that if he had "been the officer he verbally assaulted like a banana-eating jungle monkey, I would have sprayed him in the face with OC (oleoresin capsicum, or pepper spray) deserving of his belligerent non-compliance." He also declared that he was "not a racist but I am prejudice [sic] towards people who are stupid and pretend to stand up and preach for something they say is freedom but it is merely attention because you do not get enough of it in your little fear-dwelling circle of on-the-bandwagon followers." "Officer Barrett did not call professor Gates a jungle monkey or malign him racially," Marano said. "He said his behavior was like that of one. It was a characterization of the actions of that man." Then why did he get angry when Obama described the officer's actions as stupid? Surely, the President wasn't describing *him* as stupid, he was surely just saying Barrett behaved like a stupid person. ... is here. WTF? 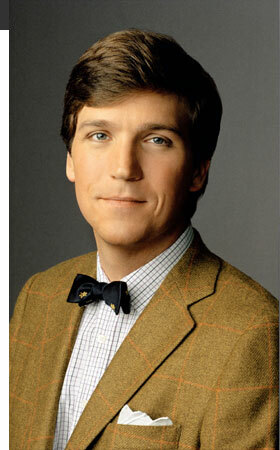 He looks like Tucker Carlson. Franken is really earning his $174,000 per year salary there. He really roped her in a corner. Sotomayor's brother and sister must have been too busy watching Doctor Kildare. Al Franken, welcome to the world's greatest deliberative body! I am sitting here listening to Jeff Sessions interrogate Sonia Sotomayor. He is basically spending all of his time asking a variant on the following question: "You are The Other, a Latina woman, and your heritage and experiences frighten me and my constituents. What gives you the right to be a Latina Woman sitting here in front of me?" I mean, even the idea that she should be some sort of impartial reasoning machine demonstrates a phenomenal lack of understanding of what judges at the appellate level do. Ugh! Oh, for crying out loud, now he's asking her to feel sorry for those poor firefighters in the Ricci case because instead of issuing her own opinion, her court agreed with the lower court's opinion. Apparently, if the opinion of her court had stood, the firefighters would have felt cheated of a full hearing. Even though the firefighters had already had a full hearing, and the lower court issued a 78-page decision on it. And the Supremes overturned that ruling anyway. But God forbid that our impartial reasoning machine not feel sorry for those poor firefighters who got exactly what they wanted! Wait, what?